Want the Audi TT's nifty virtual cockpit but need a more practical car? Great news for you, as Audi will bring the reconfigurable, all-digital instrument cluster to the A3 next year. 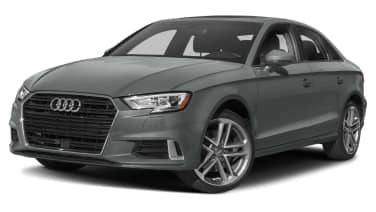 The news was confirmed to our friends at Car and Driver, courtesy of the head of Audi's electronics department, Ricky Hudi. "In the future, there are not so many [of our] cars that will not have it integrated, even into the smaller cars. Next year in the A3, we will also integrate the Virtual Cockpit," Hudi told C/D. Now, don't go thinking you'll be able to pick up a basic A3 and be able to enjoy the new instrument cluster, like you can on the TT and R8. This is going to be an up-market option, just like it is on the new Q7. "If they choose a higher engine or a higher, well-equipped car then they will choose it – no doubt. The price reduces very fast with more people using it and the Virtual Cockpit is an Audi signature now."